This post have been in making for a while or since the Visual Studio 2012 Update 2 was announced. Especially since the update added Microsoft Fakes to VS 2012 Premium. With Fakes it is now possible to mock Static methods and otherwise unmockable class’ for example DataTime.Now or a Sitecore Item. So now finally it is possible to do unit testing with Sitecore or if you like TDD. I know that this has been possible for a while if you used Glass Mapper og had access to a Typemock license. 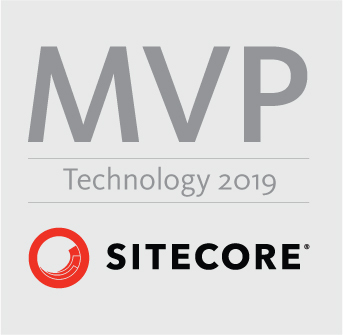 This post is the first in a small series, on how to mock Sitecore out using Microsoft Fakes, and to begin with, I will have a look and extracting data from a Sitecore Item. The two ways to get data from item i will cover here is either accessing a field through the field collection using item.Field[name of your field] or by the indexing found on the BaseItem which Item derives from like this item[name of your field]. First we look at the code that uses the Field, This example is much like using the TestItem if used in earlier post found here, or at least the setup is. You need to setup a fieldcollection and ensure that the fields used exists in the collection. and the result off course 3 green bars with 100 % test coverage. And yes there is a lot of setup. Now lets look at the indexing, here it becomes a little tricky since the derived BaseItem public methods isn’t overwritten on a ShimItem there for we will have to fake calls to BaseItem instead of the Item but still we need to create a stub of the item with ShimItem. And once again the result off course 3 green bars with 100 % test coverage. It might no be as smooth as Typemock mocking framework, and yes demands a bit more setup, at least at to begin with. When I add the Sitecore Fakes (on the sitecore 7 dll) I have the error message: error while loading the assembly) do you have an idea why? 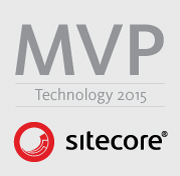 Try and add a reference for the Sitecore.Nexus dll as well. when added try and recreate the sitecore.kernel fakes assembly. Should I add the clientDataStore to the app.config? With what data? Yes, I have the same app.config. Shouldn’t there be a node in the config? Every Sitecore installation needs this. Hmm Sounds strange I’ve just tried downloading Sitecore.Fakes from Github and fixing the missing reference for Sitecore.Kernel and Sitecore.nexus and the test passes could you try to download it again from github https://github.com/istern/Sitecore-Fakes or supply a path to a zip file with your code so i can try to recreate the problem ? Also i guess your comment is on the wrong blog post since you list Sitecore.Fakes.Tests.SecurityAndEditTests.CreateAndEditItemTest Which is not related to Microsoft fakes. 🙂 let me know if get it to work..